Home » International Student ID – how useful is it really? International Student ID – how useful is it really? 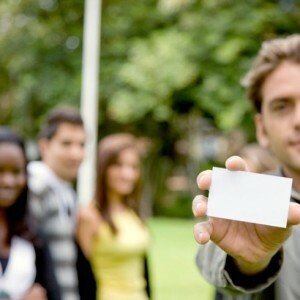 The international student ID is used by students traveling abroad. It is an internationally recognized ID card which discounts an array of goods and services – from accommodation, movie tickets to clothes – worldwide. These days however, the ISIC card is in some places redundant because many attractions, services and establishments already offer discounts to students who already hold a regular school ID. In addition, there are some places around the world that won’t acknowledge the international student ID card. The problem is that you don’t want to spend all your time researching places that may accept the card just so you can get small discounts. Companies such as STA do offer discounts for airfares, but you must present your ISIC card when checking in. This is where the ISIC card comes in handy. Depending on where you’re traveling to, applying and purchasing an ISIC card can be a lot cheaper than in your own country. This helps to save you money as well. Cheaper locations where you can get this card include Mexico, Thailand, and Hungary. The following are some of the costs of purchasing this card in the different countries. L/C means local cost in the country of origin. USD/C means what it would cost in US dollars. As you can see there are many differences in the price when traveling to a specific destination. Although it may turn out to be unnecessary in some destination or for some purposes, the ISIC card can still bring great benefits. For those who are unsure about whether to purchase one or not, if you have the money, it is a good idea to have one on hand as you don’t know when you may be able to take advantage of that great ISIC discount when traveling abroad.